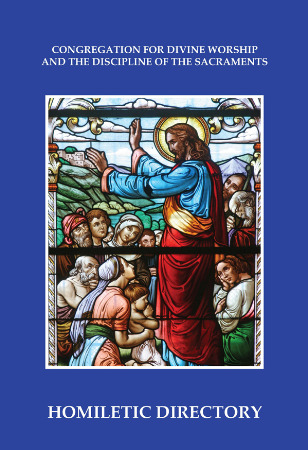 The aim of this two-part Directory is to present the purpose of the homily as it has been described in the documents of the Church from the Second Vatican Council to the Apostolic Exhortation Evangelii Gaudium, and to offer guidance based on these resources to help preachers carry out their mission effectively. In the first part, the nature, function, and specific context of the homily are described. In the second part, essential questions of method and content that the homilist must know and take into account in the preparation and delivery of the homily are illustrated. Two appendices follow the main text. The first gives references to the Catechism of the Catholic Church according to various doctrinal themes in the readings for each of the Sundays. The second provides references to various Magisterial teachings on the homily. This resource is a must for pastors, ministers, deacons, and all who pronounce homilies before a congregation.